World Patent Marketing Reviews A New Household Invention. Will Skimmer Helper Be the Next World Patent Marketing Low Cost Success Story? "The Swimming Pool Cleaning Services is worth $3 billion," says Scott Cooper, CEO and Creative Director of World Patent Marketing. "Over the next few years, people will be requiring more cleaning services and equipment to keep up with demand." World Patent Marketing, a vertically integrated manufacturer and distributor of patented products, announces Skimmer Helper, a household invention that helps in maintaining the cleanliness of the pool and prevents cleaners from getting back and knee injuries. The Skimmer Helper is an improved solution in maintaining the state of the pool. 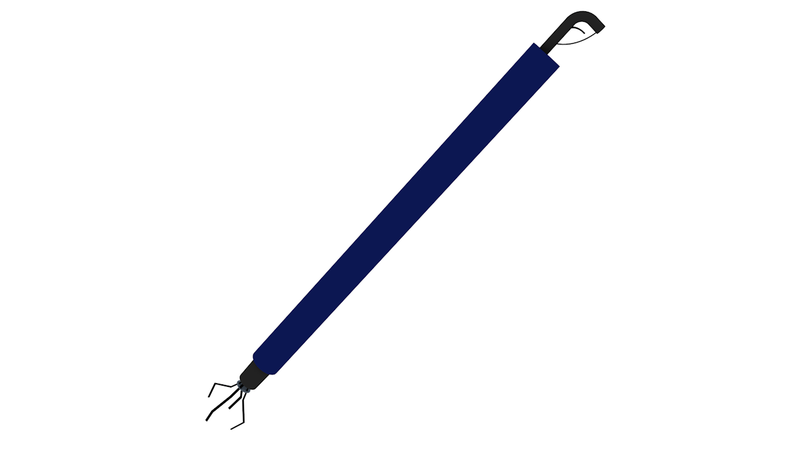 This household invention has an adjustable metal shaft which allows it to retract or extend easily. It has a prong like mechanism on one end and a handle with a trigger on the other. It is then used to remove any accumulated debris and sediment from the inner surface of the swimming pool. "The Skimmer Helper is designed to help clean out the skimmer without hurting your back and knees, says inventor Aldean F. "It can also help with other things around the yard like getting snakes and leaves out of the skimmer and out of the yard as well as trash. It can also be used in production plants like a chicken plant. It can help pick up product off the floor much easier and quicker." Skimmer Helper is an ingenious household invention that aims to make pool cleaning easy, manageable, and safe.